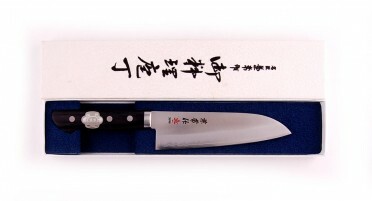 This Chef's knife is mainly used to mince large pieces of meat. 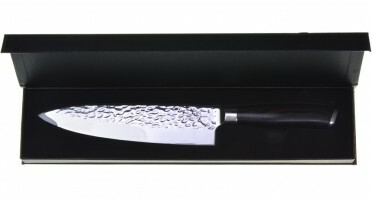 Its long blade is ideal for slicing easily all types of meat. 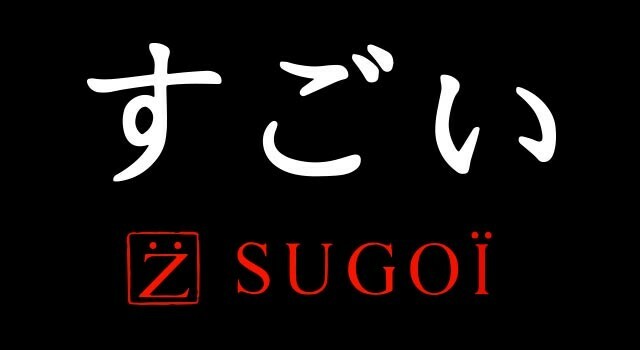 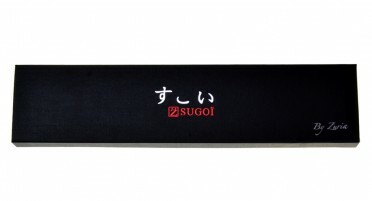 The design of Japanese knives of the brand Sugoï, discovered during a trip to Asia, is signed by Zuria. 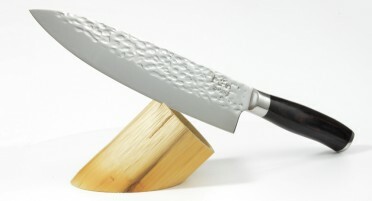 - The polyglace blade is hammered on both sides to prevent food sticking to the blade during use. 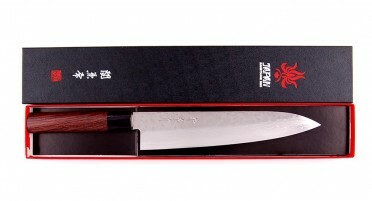 It is made with a modern high-performance steel, the AUS8 associated with steel 420 to obtain a good edge and easy sharpening. 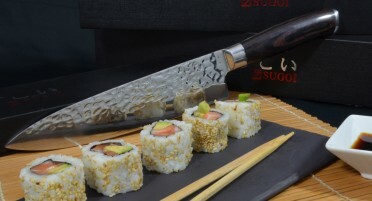 - The handle of the Sashimi knife offers a good grip with its smooth and straight Stamina handle, a resin made with glued and compressed wood slats, highly resistant to temperature and humidity variations. 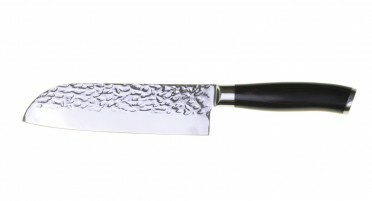 The handle has a double miter made of stainless steel and has no rivets. Never put your knife in the dishwasher. 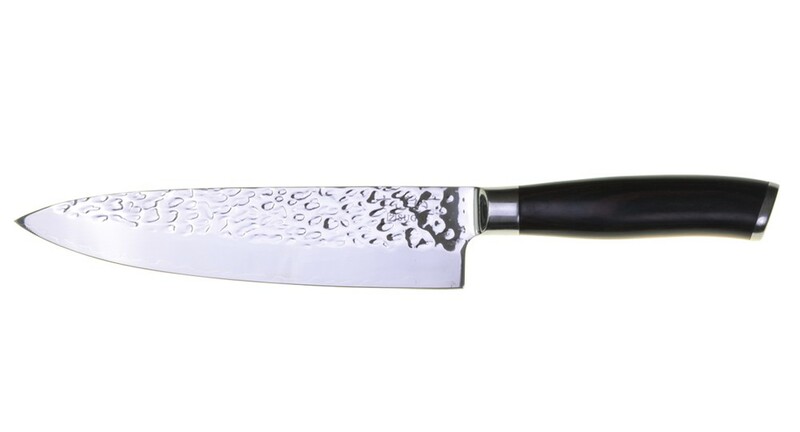 Clean your knife after use with a sponge by hand and wipe it well. 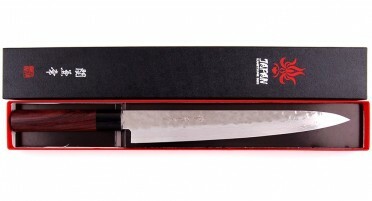 Comes in a preformed box.